Life Cycle Assessment (LCA) has become an important evaluation method for assessing the efficient use of resources and reduction of emissions of environmentally hazardous substances. When conducting an LCA, it is essential to collect inventory data for the target scope that is under consideration. On conducting these evaluations, it is best the LCA practitioner collect inventory data for the evaluation. However, an enormous amount of effort and time must be spent to collect all relevant data. Therefore, in order to improve the efficiency of an evaluation, “background data” is used for areas where impacts are fairly low and “foreground data” collected by the LCA practitioner is used for areas where impacts are large. For this reason, the development of background data that meets expectations of various evaluations is critical. IDEA (Inventory Database for Environmental Analysis) contains LCI datasets of non-manufacturing sectors (agriculture, forestry and fisheries, mining, construction and civil engineering) as well as manufacturing sectors (food and beverage, textile, chemical industry, ceramics and building materials, metal and machinery) and also sectors such as electricity, gas, water and sewerage. 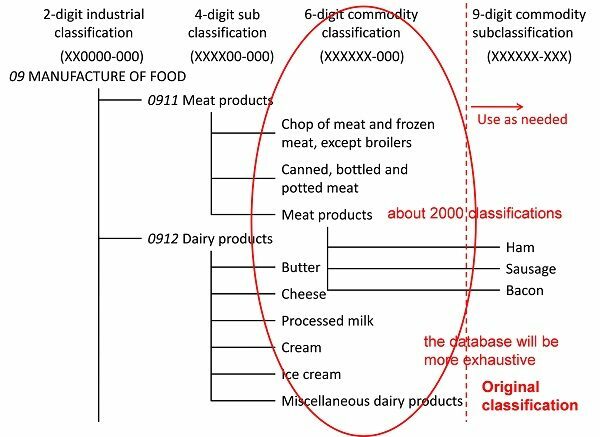 It covers all products that are classified within the scope of the Japan Standard Commodity Classification, so the comprehensiveness is guaranteed. This means that a situation where some background data is missing will never occur. On the other hand, there are some datasets for service and processing (which are not products), where the comprehensiveness is not guaranteed. A data management format to record meta information of datasets, for example, “effective scope” or “methods of creation”, was also developed. Based on this data management system, datasets were developed using various information sources. “Basic data”, which are datasets in line with the IDEA classification, were developed in order to prepare comprehensive datasets. Many of the “basic data” were developed combining multiple statistical information. Furthermore, “individual data”, which are datasets that are more detailed but not part of the comprehensiveness, were also developed. 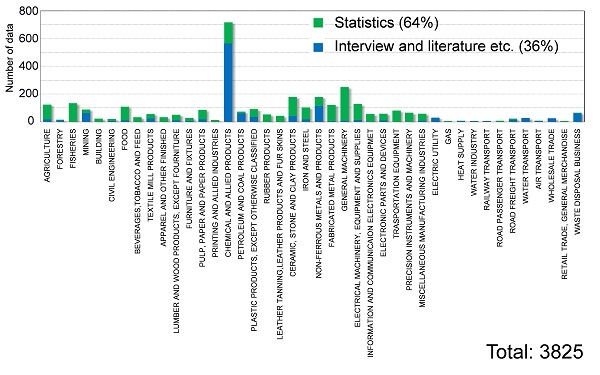 Most “individual data” datasets were developed based on previous literature (articles and reports, etc.) and existing data.